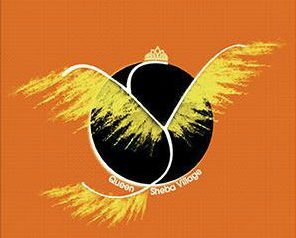 Founded by Queen Sheba Rene (Du Bose Cisse), Queen Sheba Village (QSV) organization aims to fight against poverty, hunger, and violence caused to women and children in Africa, Senegal. We want to improve the life stand for all those who are destitute, reduce infant mortality and promote the education for Women and girls and (children) via educational methods. We will focus our actions through the development of education which aims to bring behavior change; it is a process that aims to bring about changes in values and individual and collective attitudes for the better new world. Micro Finance businesses for women, Emphasis on advanced girls educations, spreading awareness to abandon Female Genital Mutilation, and our model Health & Hygiene program. The QSV Empowerment Education Center will bring networking Social opportunity and awareness for many surrounding communities. The pedagogical acts which involve the learning situation to the diversified public to understand, to dialogue and to act. The concretization of all those pedagogical principles is realized through a multitude of actions which can be grouped around a certain number of poles (actions of sensitization, of Village (QSV) mobilization; of training and actions).